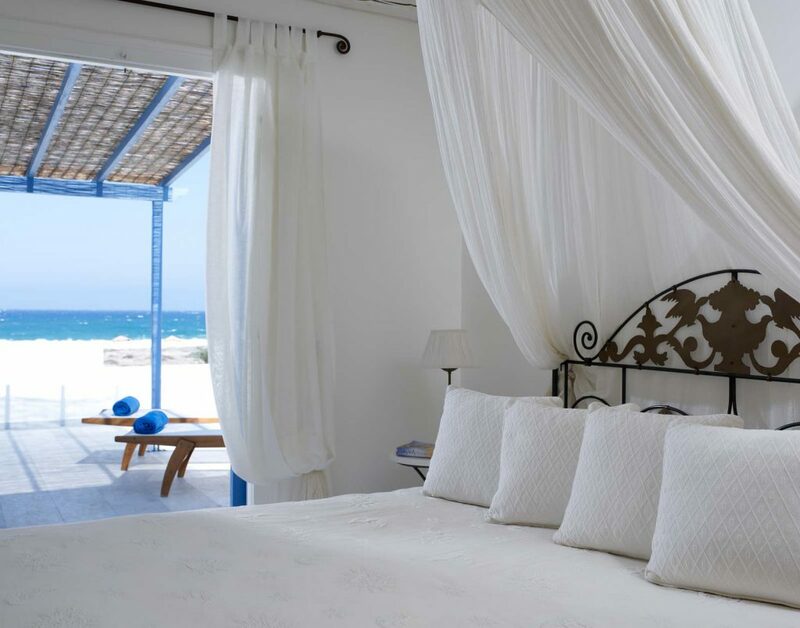 The Villa Marandi Suites is located in the area of Stelida on the breathtaking beach of Hohiakas, each of the Boutique hotels suites are beautifully furnished in modern Cycladic style. 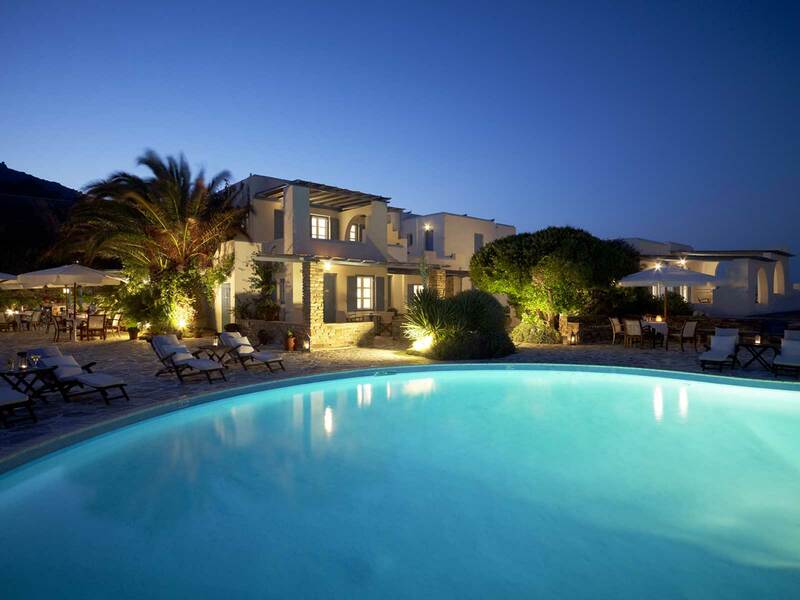 The property is located next to the beach and offers its guests free sun loungers plus parasols, the hotel also features a spacious terrace with a freshwater pool. 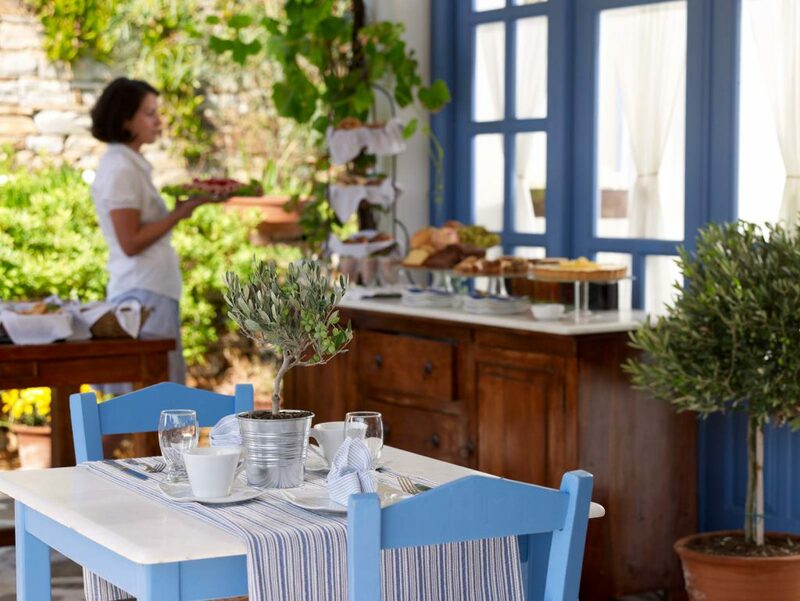 A full buffet breakfast is available each morning, daily snack menu at the pool bar and the a la carte restaurant Naxian Terra features a creative Mediterranean menu. 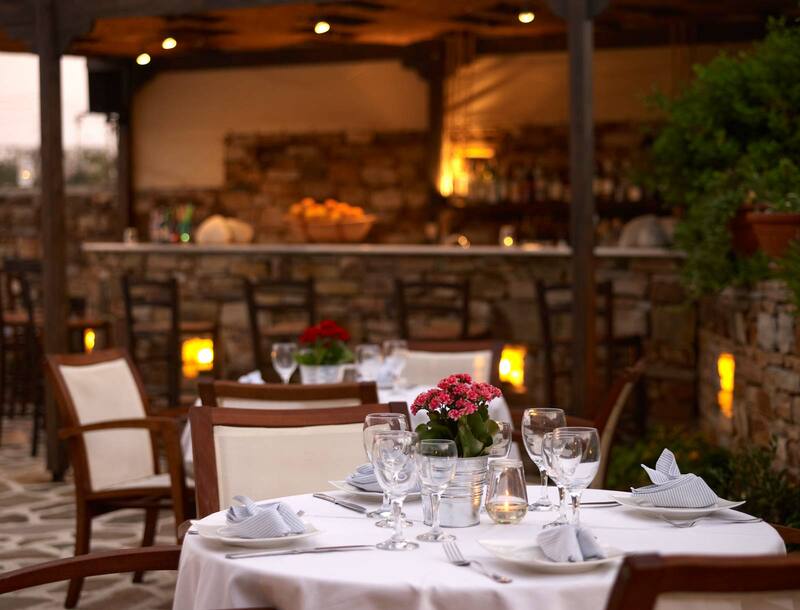 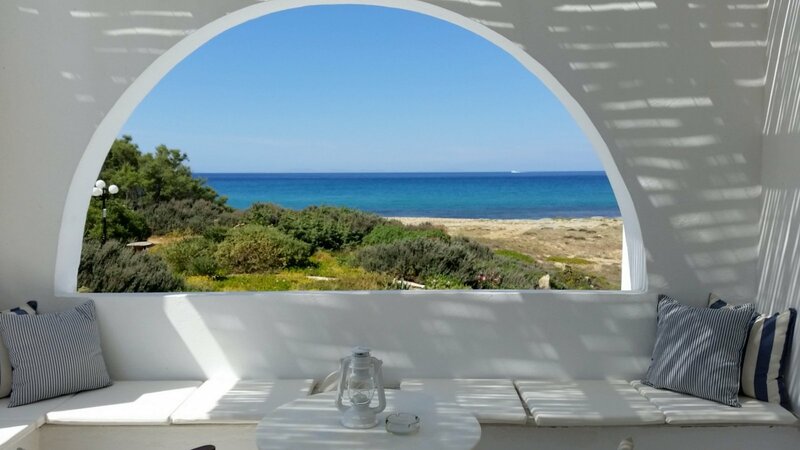 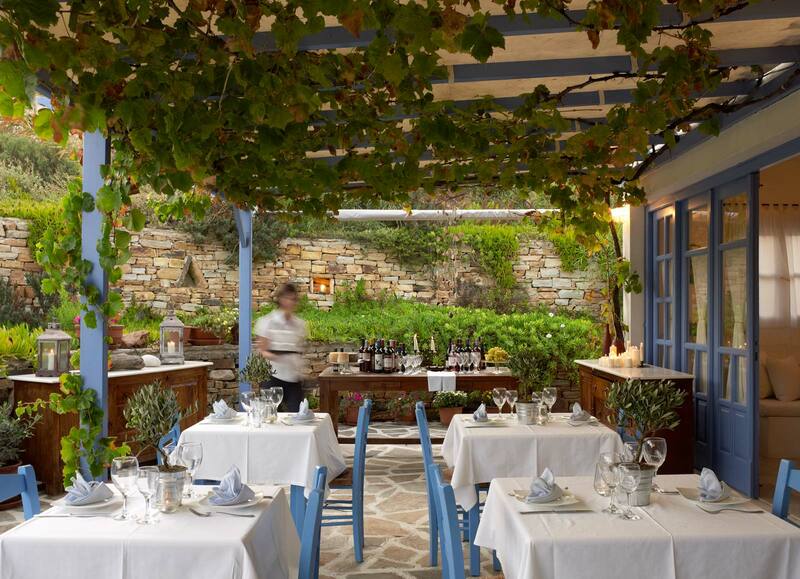 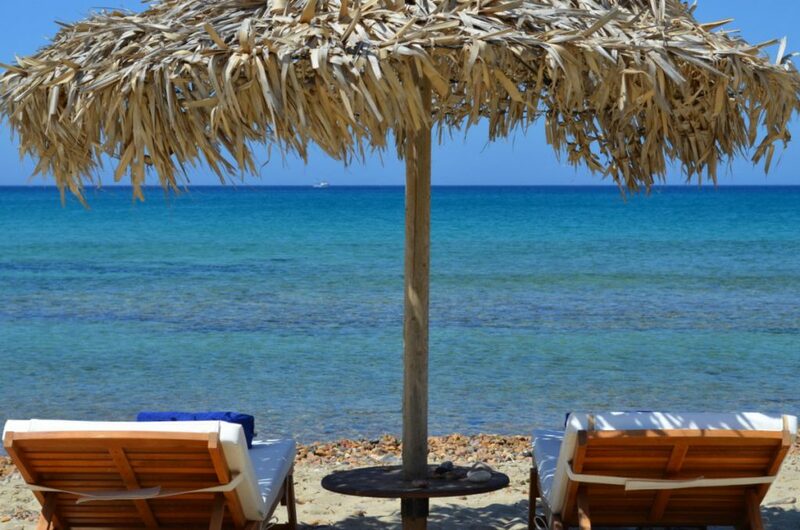 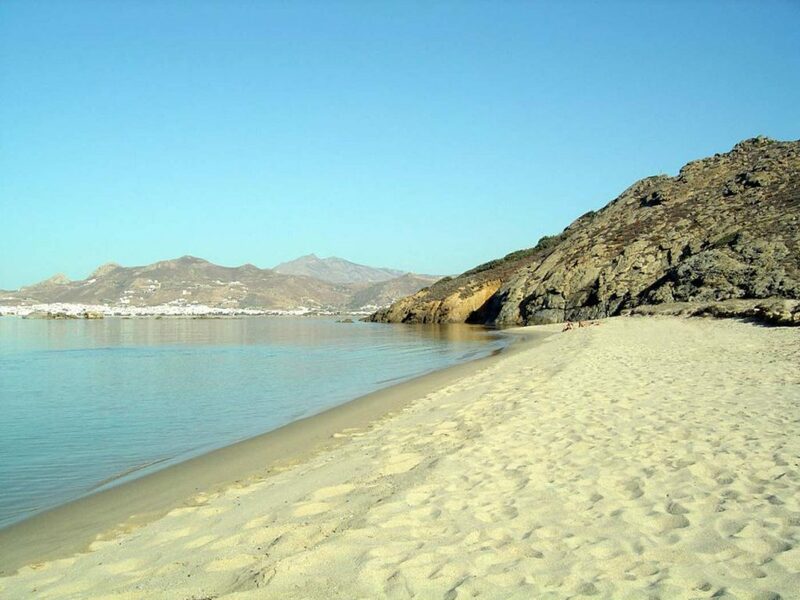 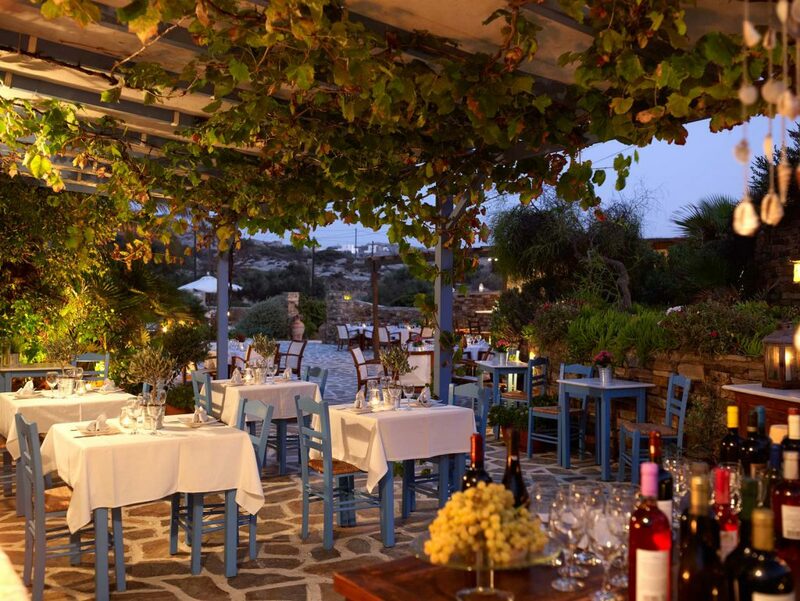 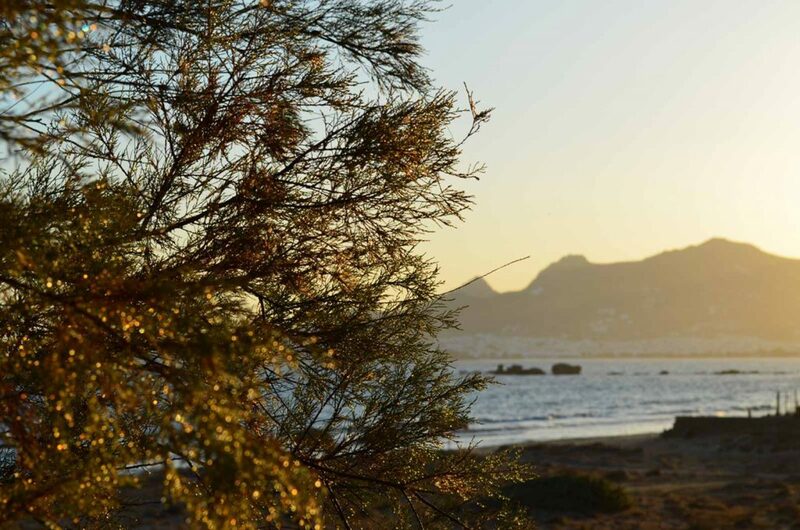 The hotel is well located for a visit to Naxos town and the various beautiful beaches that Naxos has to offer including the bays of Agios Prokopios and the amazing Plaka beach. 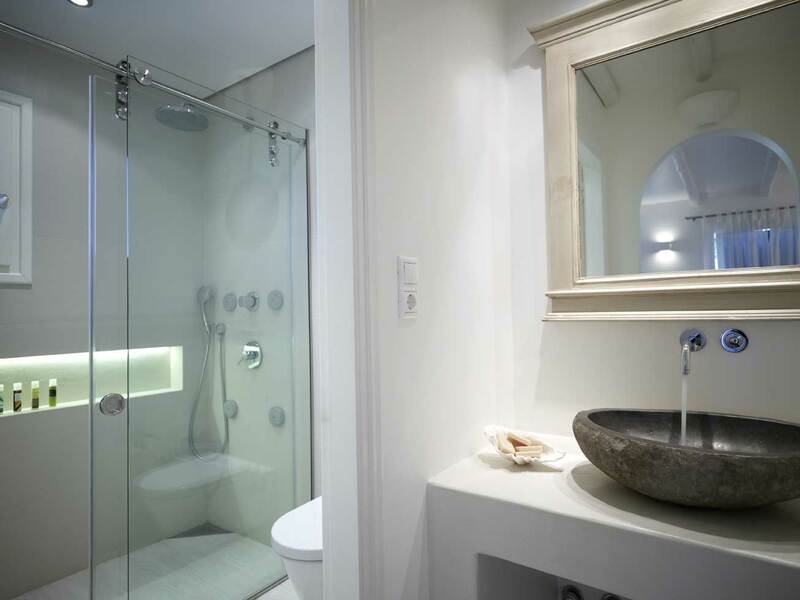 Suite size 28sq m with bedroom offering either King bed or 2 singles + Sitting area with sofa bed. 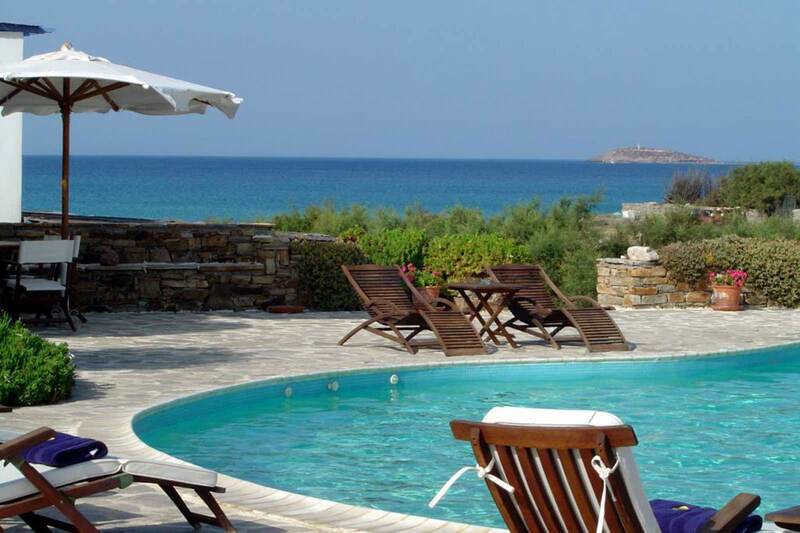 Terrace with sea or pool view. Bedroom with king size bed + Sitting area with 2 x sofa bed, terrace with sea or pool view. 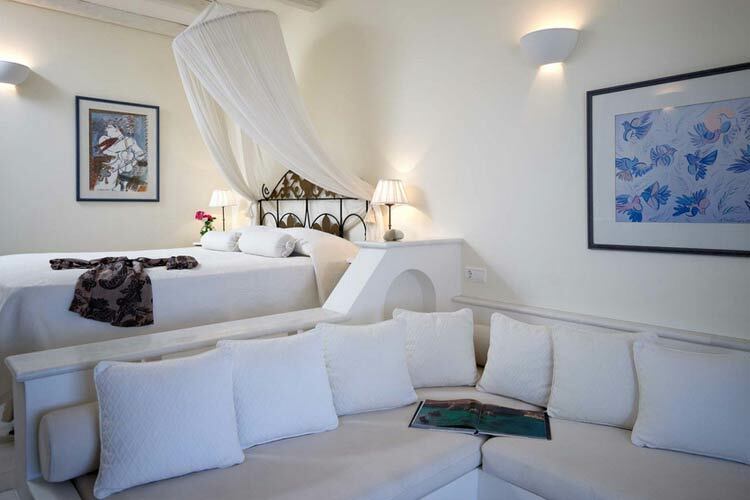 Suite size 29 sqm offering beautiful accommodation for a romantic getaway. 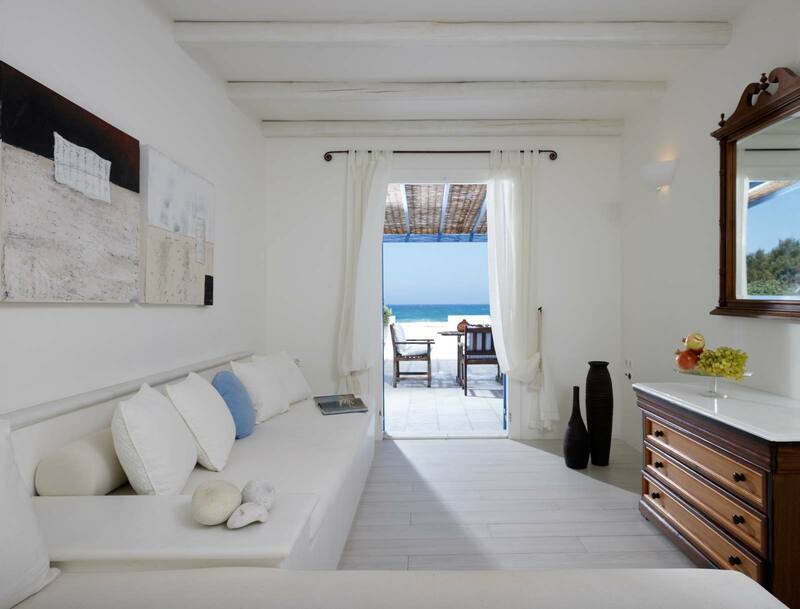 The suite is located on the first floor, a private terrace with wonderful sea views. 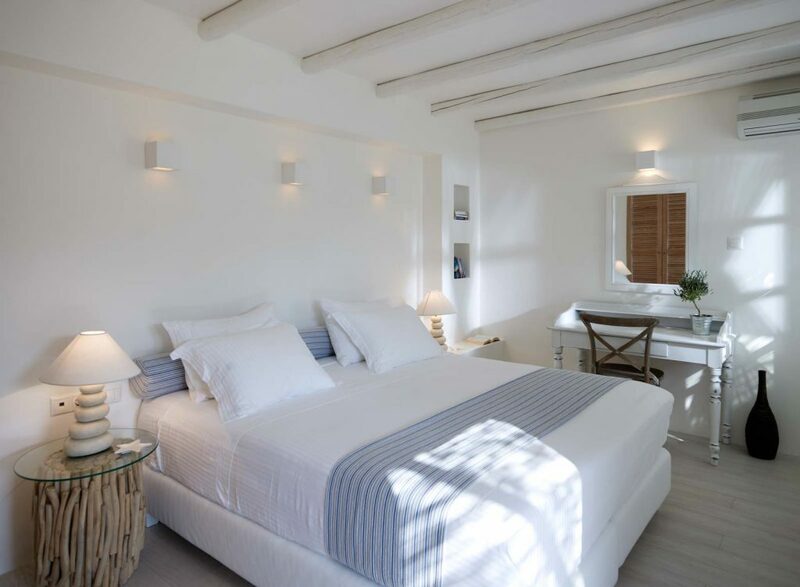 Suite size 38 sqm located on the first floor with lovely views of the shimmering Aegean Sea. Bedroom with King size bed + Separate living area with 2 x sofa beds. 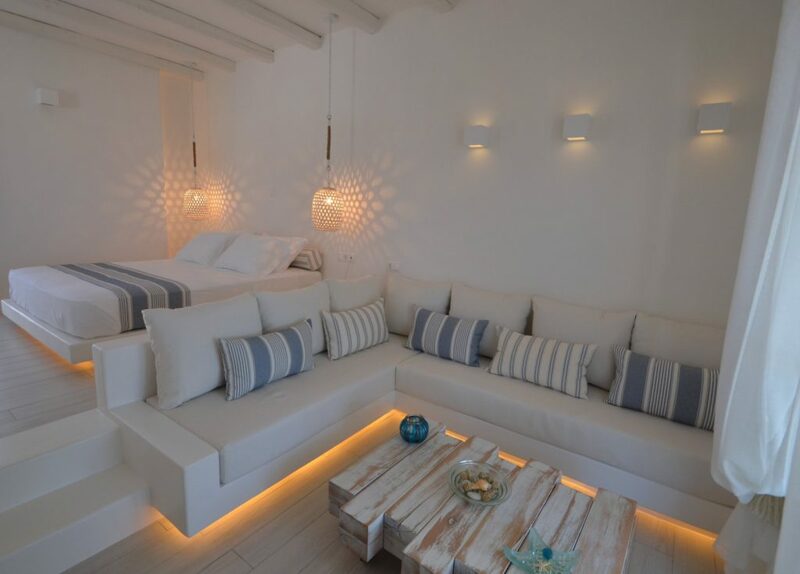 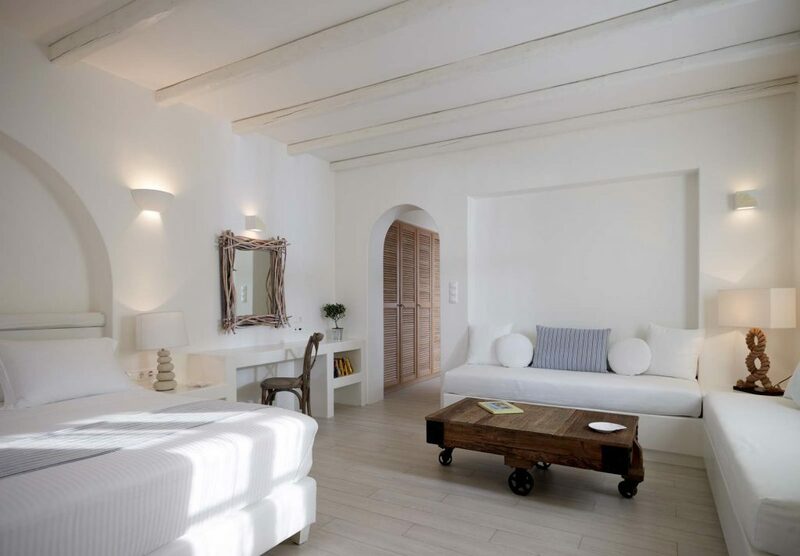 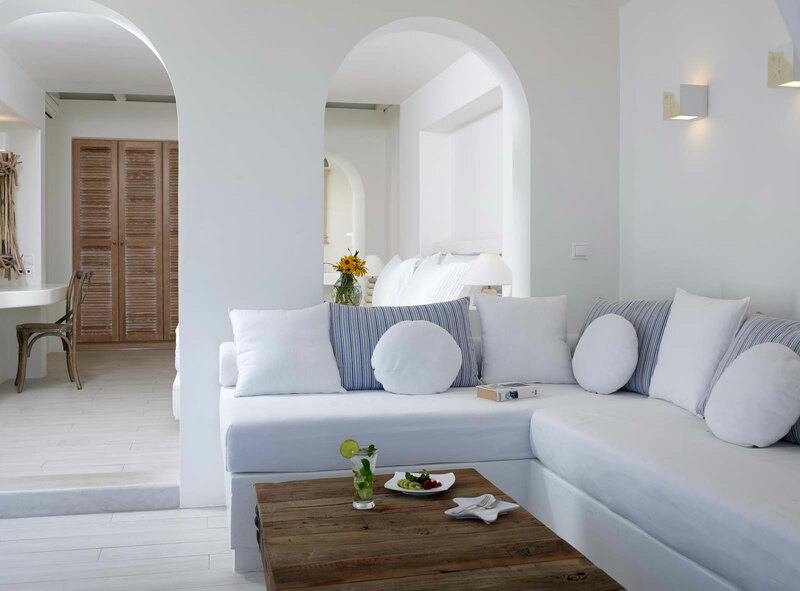 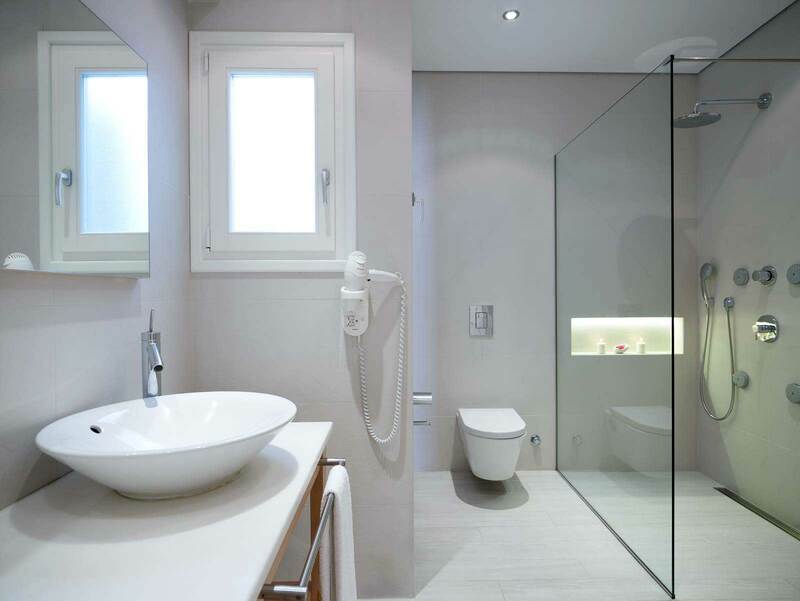 Cycladic Grand Suite: Up to 6 guests. 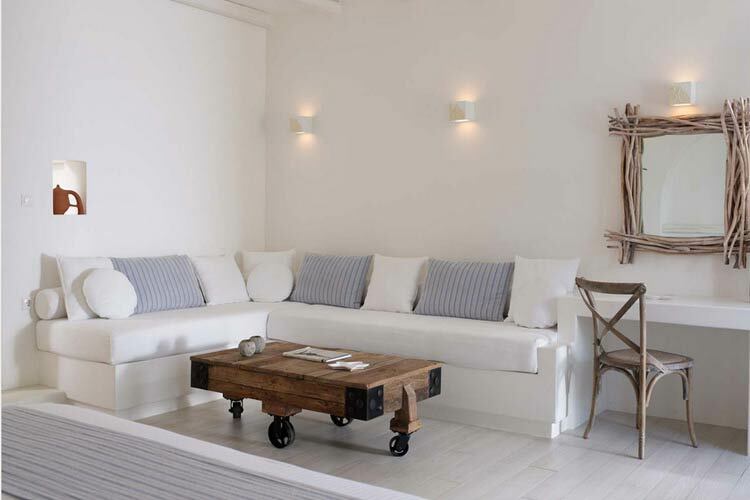 Suite size 51 sqm with 2 double bedrooms and sitting area with 2 x sofa beds. 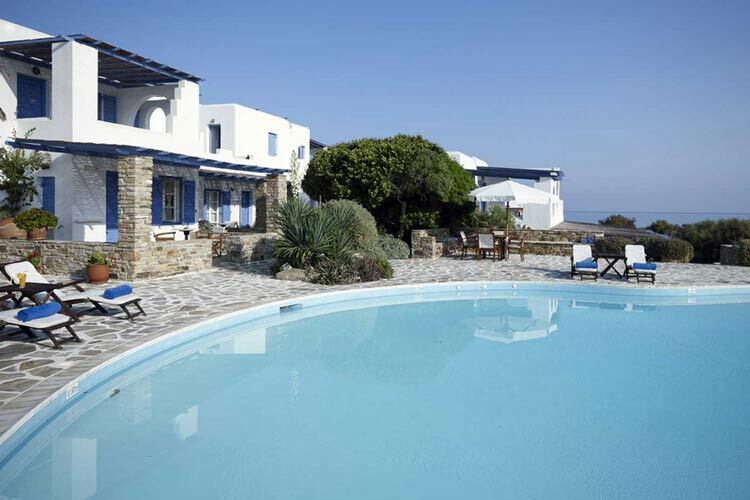 Offering a fully equipped kitchen large ground level terrace and beautiful sea views.